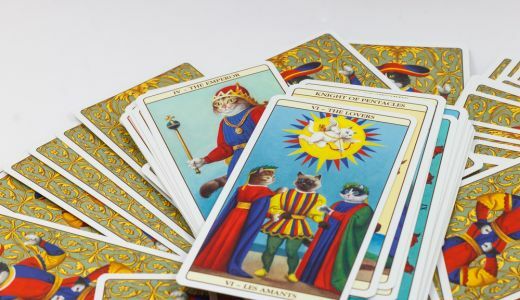 In this Lesson we will look at how you lay the Tarot cards out to do Tarot readings and we move on now from working for yourself to reading for other people too. You can be sure that once your friends know you can read the Tarot cards they will ask you for Tarot readings so best to get some practice in now! This lesson will show you how to do Tarot readings for others but remember you can use these to read for yourself as well, but always be sure you are being 100 % honest with yourself when you do. So now that we have seen how to use the cards we need to know what to do with them! It is important that you give your Tarot cards a good shuffle and perhaps let the client shuffle them as well. Some Tarot readers like to cut the pack into 3 and ask the client to choose which one they want. Other Tarot readers spread the cards out in a fan and ask the client to pick the cards they want. Once you have chosen your method of shuffling and choosing the cards you need to know how to use them in a spread. 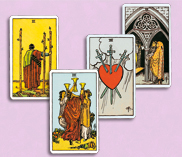 There are a great many ways to lay out the cards to give a Tarot reading. These layouts are called ‘spreads’ and these are the patterns or formations we place the cards in to answer the questions we are asked as Tarot readers. 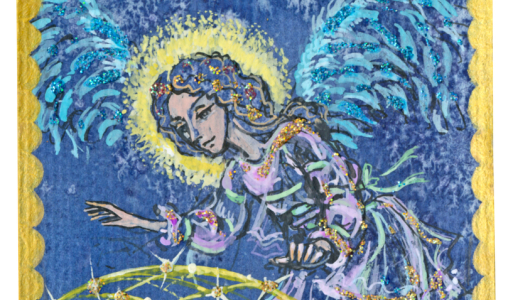 Spreads can vary in how complex or difficult they can be, so we will work on the basis that ‘less is more’ – with the Tarot we can get more direct and perhaps accurate information from using spreads with less cards in. We could also say that more Tarot cards can lead to more confusion and we want to give our customers ‘the truth, the whole truth and nothing but the truth’! When you look at books on the Tarot you can find as many different spreads as there are books. There are no rules with the Tarot so everyone is free to create their own spreads, but we may get to this later. For now we will look at some simple spreads and the more well known and accepted ones to help get you started, established and confident. Spreads are usually designed to answers specific questions and experience tells us that the most common areas asked about by clients are: Love and Relationships, Money and Career, Health, and Family/Home. In general, clients want a general view of what is happening and why and what is likely to happen and why. 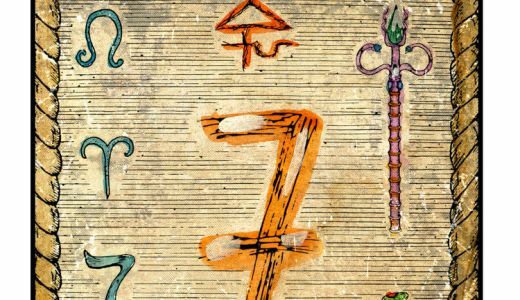 Reading the Tarot is not about telling clients what to do, it is about helping them to help themselves, so do bear this in mind when you work with the Tarot cards. Perhaps the simplest spread of all we could say is just to pick one card from the whole deck in response to a client’s question and lay this down. Give your interpretation, let the client respond and take another card, interpret that and just keep going until the reading comes to a natural end.